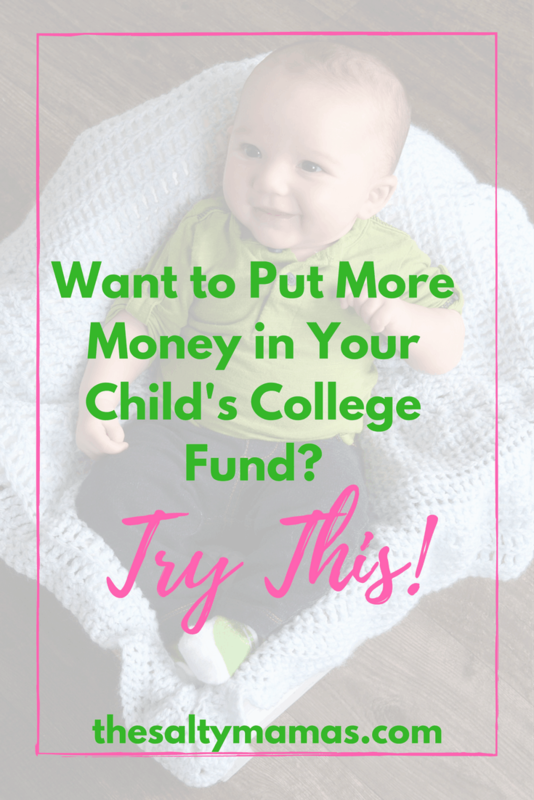 Could Your Baby Pay for College as a Baby Model? Find Out How! 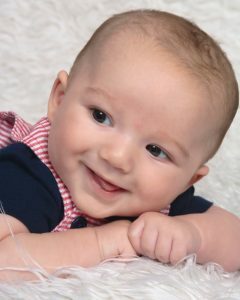 For a glorious, glamourous, and tiring six months, Abram had a very successful stint as a baby model. It was fun and exciting for me, and Abram? Well, he had no idea the whole thing was even happening, but he made a LOT of money in the process. We learned so much along the way, and even though we chose to walk away from the opportunity eventually (read our reasons why here), I’m so glad we went for it. We actually spent a lot of great one-on-one time together at castings and on the job, padding out his college savings account pretty nicely in the process. 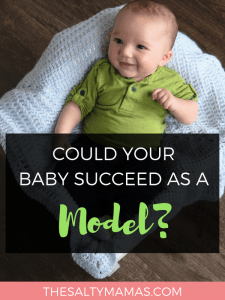 So if you’ve got one of those super cute babies, and people are always telling you your child should be a model, why not give it a shot? 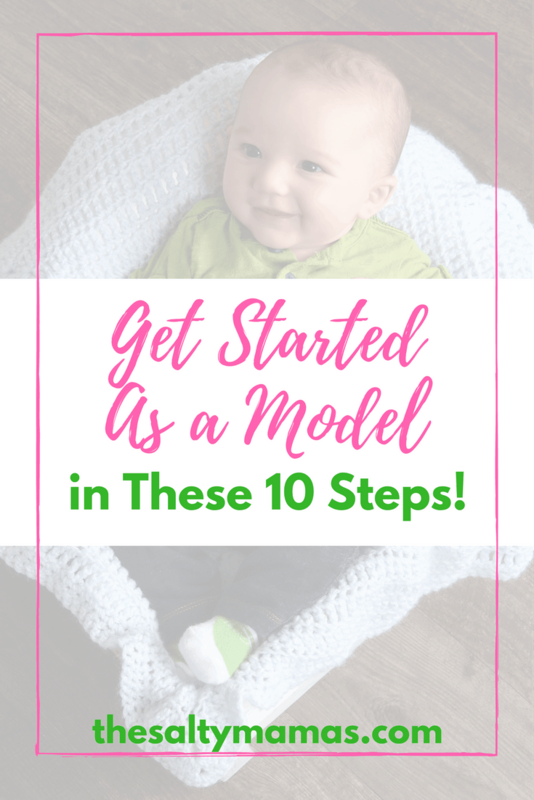 If you’re serious about getting your baby into the modeling industry, here is what you need to know before you begin. 1. Know What You’re Signing Up For. Having a child model can be amazing, but it can also be a bit stressful. There are hoops that need to be jumped through, and appointments to be made and kept, and castings and call backs to be attended (sometimes on only an hour or two of notice). If you have more than one child, this means you’ll need to have a lot of flexible, reliable childcare options available, as only the requested child will be allowed to attend the casting or job with you. And if you work a traditional job outside of the home, be prepared to rely on your village to get your kiddo to and from “work” on a regular basis. Agencies want you to be available any time, and anywhere, with not a ton of notice. You should probably live near a metropolitan area to consider modeling in any real way, as there aren’t many companies that will fly you and your kiddo out for castings, or even jobs. But even if you live near one of these areas, be prepared to spend a lot of time in the car. Like, a LOT of time in the car. I live about twenty minutes outside of LA, but I regularly drove an hour and a half or more (sometimes because of traffic, sometimes just because of distance) to get Abe to work. And it does start to get old, especially when you make that drive for an audition…and don’t get the job. Don’t go shelling out the big bucks to get headshots done- at least not yet! Abe got signed after submitting pictures we obtained from a $20 Groupon to JCPenney’s, so it’s not like we went all out to be selected. You can even take great pics at home, with a few simple tips. First, use a proper camera, not a cell phone. Dress your child in bright, solid colors (no logos or busy patterns). Take photos of them outside on a sunny day, with a neutral background (think the wall of your house, a brick wall, something like that.) Leave the accessories, like headbands and even earrings, off for this one. They just want to see your child’s beautiful or handsome face without any distractions. Submit photos of them smiling alongside neutral-faced photos (no real expression). Make sure you have an original Birth Certificate for your child, as well as a Social Security card. Many jobs and some submissions even require your child to have a passport (although we never got one for Abe). These things can be obtained later, but you don’t want to miss out on any work while you’re waiting for these things to arrive! 5. Find a Reputable Agency. This is probably the most important of all the steps. Google “Best kids modeling agencies in (Your City)” and cross-reference different articles that you find. Look them up on Yelp, and in the Better Business Bureau. If you know anyone in the industry, ask for their advice. You want to know that you are signing with a good agency from the beginning. A reputable agency will not ask you for ANY money upfront. Not even for photos, styling, etc. If they ask for any kind of money, that is a HUGE red flag and a sign to get out immediately. 6. Submit Your Child’s Pictures. Many agencies now have websites for you to submit online, or you can mail in photos. Then cross your fingers, say a little prayer, and wait for a response! 7. Celebrate! Or Shake It off. If your child doesn’t get accepted? Please, please, PLEASE don’t get your feelings hurt. Your child is likely every bit as adorable as you think they are. But maybe they already have enough kids on their roster that are the same “type” as your child. As in, they’ve already got too many blondes, or they are full for your child’s age range. Feel free to update your pics and try again in a couple of months, because you never know what will have changed by then. You will need to obtain a work permit for your child (you can do it online here if you live or plan to work in California). Your child will need a savings account, which you can likely set up at any bank. And if you live in California, you will need a special account called a Coogan account that is only for children who work in the entertainment industry. By law, 15% of a child’s earnings must be held in a Coogan account until they turn 18. Many major banks, such as Bank of America, do not offer these, but many credit unions (including the one we used, First Entertainment Credit Union) do, as well as US Banks. Get these done ASAP, because you have a very high change of missing out on work without it. 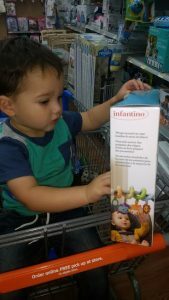 You need to keep your photos updated, according to your agency’s standards or once every couple of months (especially when they’re little!) You can either take high quality shots at home, or hire a pro photographer to do them. That’s between you and your agent! When you get your pictures updated professionally, your agent will likely ask you to get a photosheet made. They are basically a collage of pictures of your child with different “looks”- standing, sitting, smiling, serious, etc. Get a few printed up, as you will be taking these to auditions with you. You might even be asked to make a resume for you child which…I can’t even. It’s too hilarious. But still, it also may necessary. Get to those castings, submit for jobs, and- hopefully- get to work! Your child will almost certainly not get chosen for every job and that’s okay. An industry person once explained it to me like this- a company is looking for a certain look for their ad- let’s call their “type” a Red Circle. Your baby might just be a Blue Square. They may be the absolute cutest of all the Blue Squares, but they are still blue, and still square. There’s no way they can be a Red Circle, and frankly, you wouldn’t want them to be. But when they’re looking for a Blue Square in general, and YOUR Blue Square in particular? Well, if we’re being honest- there’s nothing like it. So update those pictures, get to your castings on time, and just wait for the day when they are looking for a Blue Square. And then, little baby, it’ll be your time to shine. So if you’ve got a little one that is cute-as-can-be, and you know what you’re getting yourself into- well, mama, what are you waiting for? Get those documents and photos in order, and get to submitting. It just may be that your little guy or gal is ready for those fifteen (or thirty! or sixty!) minutes of fame. Love this! I always wondered how people get their kiddos into modelling! Did he make a good amount of money in those 6 months? He really did! It definitely paid off. But we got pretty lucky with the timing and joined just in time to land a pretty rare campaign. Great article. That’s an awesome perspective. Thanks! I wish I’d have seen something like this when we were getting started. Awesome list! This makes something generally overwhelming seem more approachable and simple. Congrats to you and baby Abe! Great list! This is really good insider info if you are looking to get into modeling. And it is great you and your son had so much fun together! It really was fun while it lasted! A lot of work, but also a lot of fun. I had no idea all the work that went on behind the scenes of child modeling!! Right? I didn’t either- or I’m not sure we would have taken it on! These are such great tips. Sharing with a friend who wants to get her baby into modeling. It really is a cool opportunity! Wishing her luck! Nice breakdown! My kids have done things here and there but I have never really been that organized about it, lol. You know, I may have stuck with it longer if I could have kept that attitude. But I am too type A for that! ? Love this post! Thank you so much! My 8 year old daughter has been begging to get into modeling! Awesome suggestions for kids who want to model! I would have loved to model as a kid! My daughter would absolutely love it, but I’ve learned that I just.can’t.do it. This is such great tips! Growing up in Southern California I had a lot of friends who were child models and actors! What a great list of steps!! 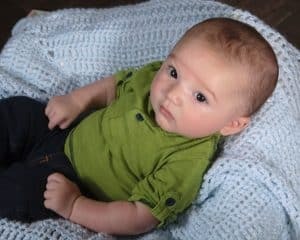 We joked to have our son model but I would be lying if I said the thought didn’t seriously cross my mind once or twice! Haha! I worked in background in tv etc years ago, so I understand a few aspects of this but I think this has a lot more steps! Plus when you have your baby involved, it has to be hard to control how they act! Thank you for your thoughts and tips on this!! It’s given me more to think about!